The seasons are changing – and the menu at special events is changing, too! We’re leaving behind vegetable crudités and cold sandwiches and bringing out the hearty soups and spicy crab cakes. 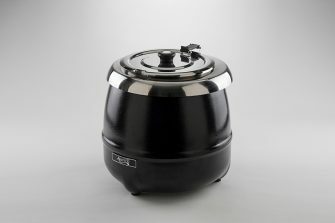 For soups and cocoa, hot appetizers and entrées, having the right catering equipment is essential. 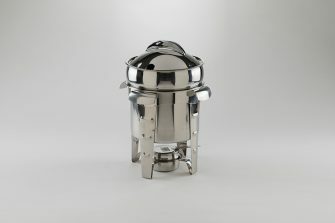 To help you find the ideal chafers, urns, and warmers, Well Dressed Tables has updated our collection with 4 new catering rental items! Looking for more? See all Catering Rentals. Why You’ll Love It: The soup “marmite” – a French term for a large, covered metal cooking pot – is ideal for starters or side soups. French onion or tomato bisque will stay warm and toasty in here. Why You’ll Love It: To keep hungry guests happy, our 11 qt. soup warmer holds roughly 40 servings of soup! It’s also electric, which means even your most substantial entrée soups will be heated throughout. Why You’ll Love It: This 6 qt. 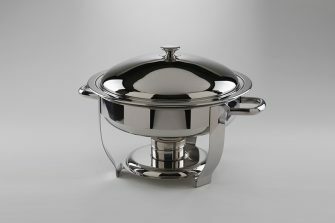 dish has a lid, which gives it a more graceful look than a chafing dish with a traditional roll top. It’s ideal for small hors d’oeuvres such as mini quiches, stuffed mushrooms, or bacon-wrapped anything! Why You’ll Love It: Your early-morning guests will need caffeine – and lots of it! 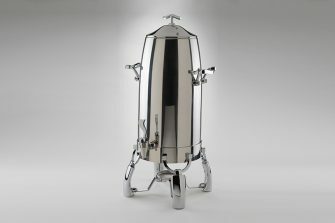 This 100-cup coffee urn holds 5 gallons of ready-brewed coffee and is easily our largest coffee service item. 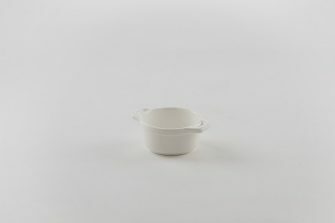 Why You’ll Love It: This single-serve porcelain cassolette dish is both adorable and elegant. Serve up a savory French cassoulet during heavy appetizers. For a sweeter option, how about a s’mores-themed dessert or an apple crumble? 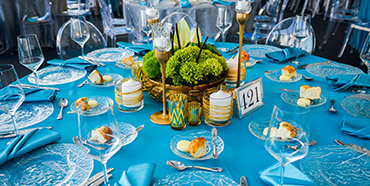 Well Dressed Tables Tip: The weather might be cool – but our event rental season is heating up! You’ll want to book holiday catering rentals in advance. To secure exactly what you need, Request a Quote.